Ok, this is a fairly standard use case, but the toppings and varieties for pancakes are truly endless. 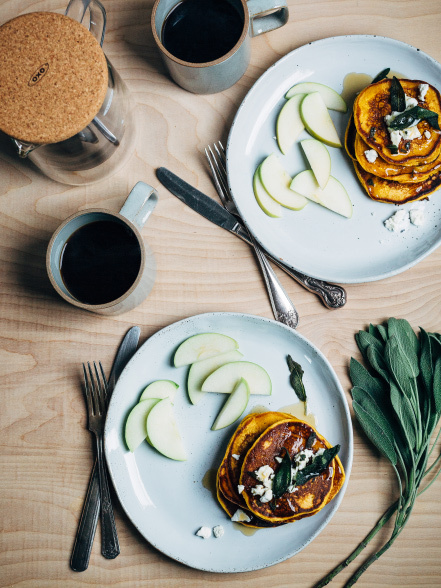 We can’t get Brooklyn Supper’s Sweet Potato Pancakes with Sage and Goat Cheese out of our minds. Whisk together eggs and milk and get to dispensing. 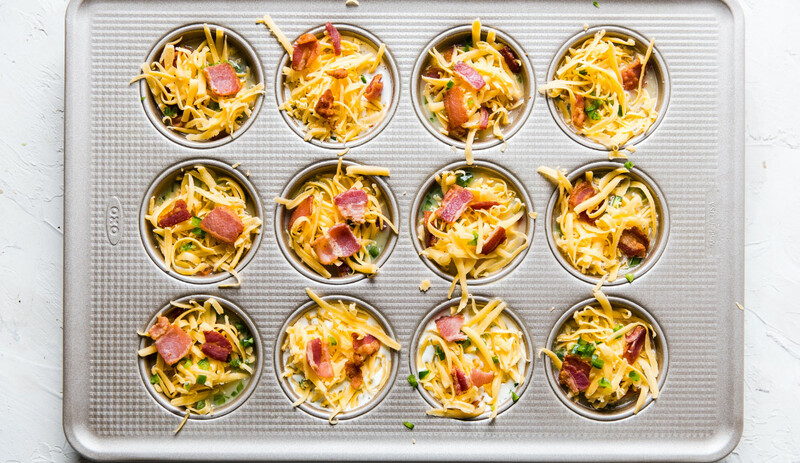 Egg cups are great for meal prepping breakfast for the week and,again, the combination of fillings are endless. A few things we’ve tried and loved: peppers, broccoli, spinach, herbs, sundried tomatoes, feta cheese and olives. See how The Modern Proper makes a batch for the whole family. This classic festival food doesn’t have to be a once-a-year treat. Try making it at home and subbing in the Precision Batter Dispenser for the funnel. It’ll keep your kitchen clean and give you the same spirally goodness you get from using a funnel. Filling up a waffle iron can also get messy with each ladle full. Keep things tidy with the batter dispenser. The shut-off valve provides total control and prevents any extra drips from happening. Making a million mini muffins or cupcakes for a party? The batter dispenser will save your wrists. Between batches, store the batter in the dispenser with the lid on in the fridge. For homemade crêpes, the batter dispenser enables precision with every squeeze. Each crêpe will turn out delicate and thin, just the way they should be. Looking to finish off a cake or donuts with a flawless drizzle of glaze? Use the batter dispenser to for an effortless flourish. Amalia Safran is part of OXO's Brand Communications team. She enjoys anything outdoors, exploring new cities and has yet to meet a food she doesn’t like. WHERE TO PURCHASED THIS BATTER DISPENSER IN LAFAYETTE, LA. 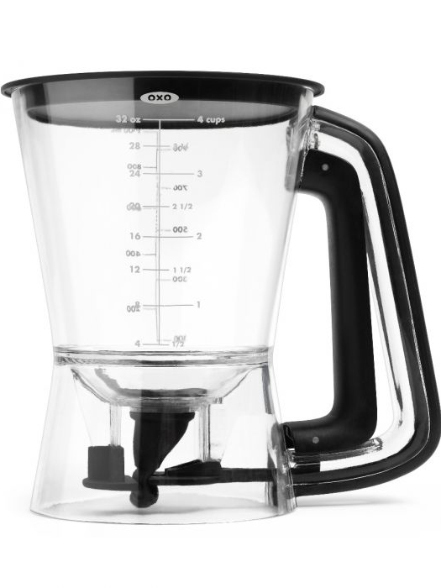 Hi there – You can purchase the Batter Dispenser online on oxo.com if it’s not available in your local store.